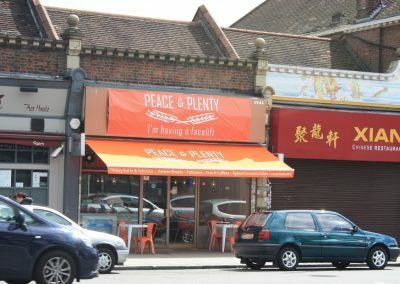 To create a more visually interesting shop front. 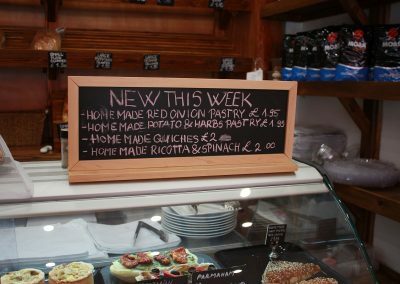 Inspiration can come from anywhere and whilst I was taking photographs of inside the cafe I spotted the chalk board with ‘today’s bake’ on it. 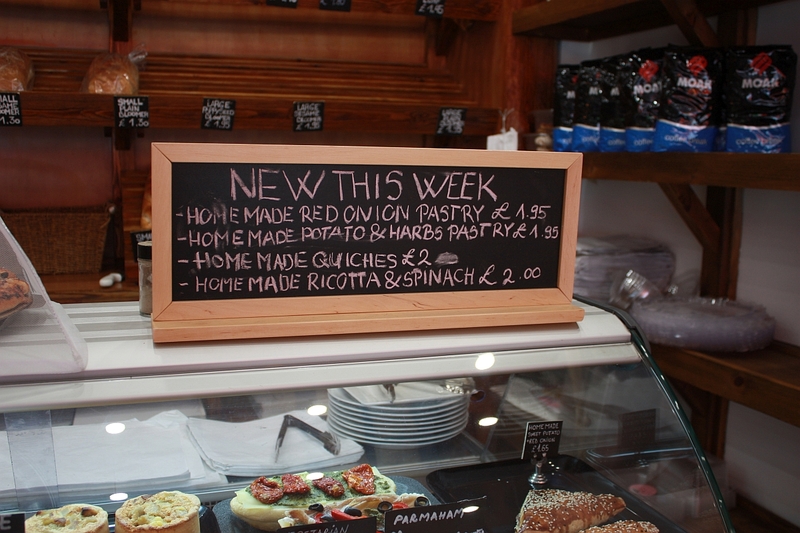 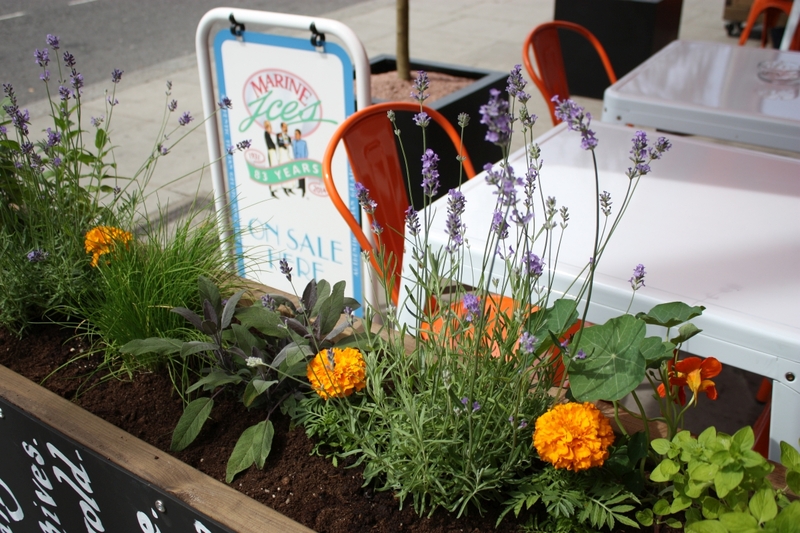 That was my inspiration to design bespoke planters with chalk boards fixed to one side for outside the cafe. 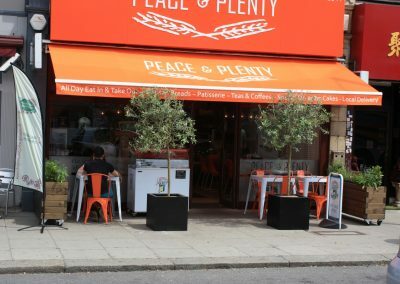 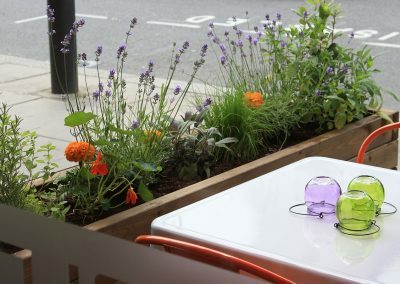 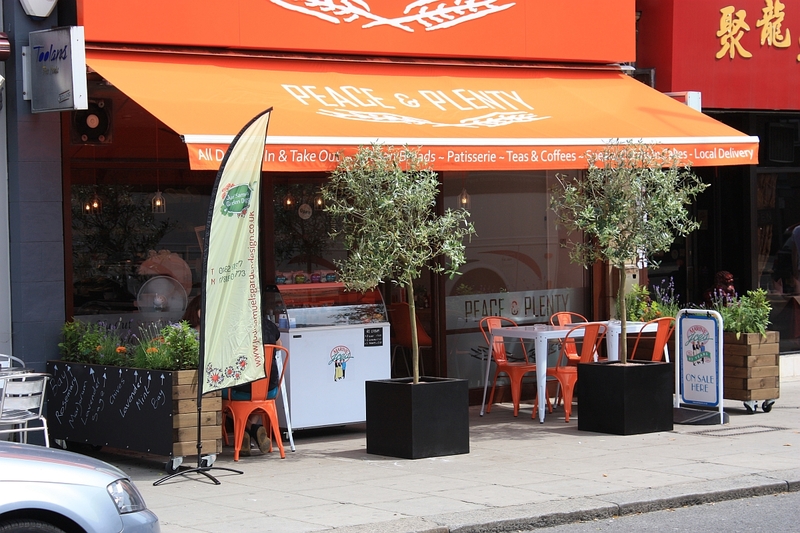 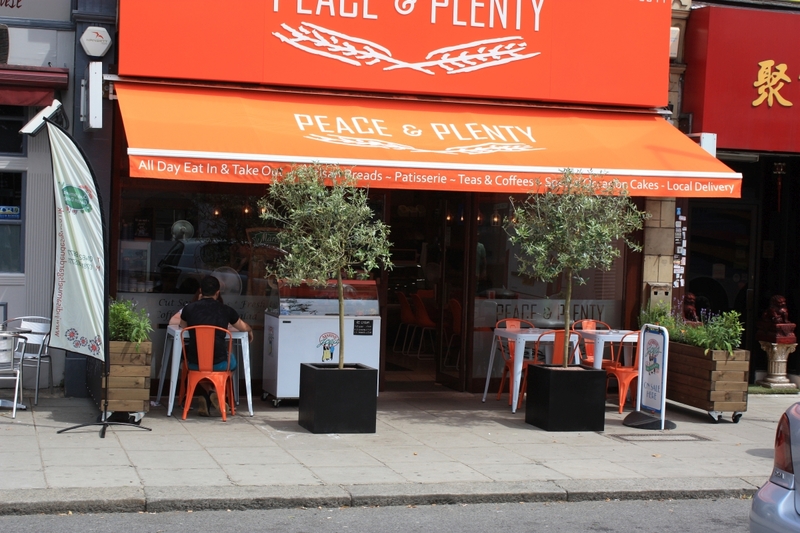 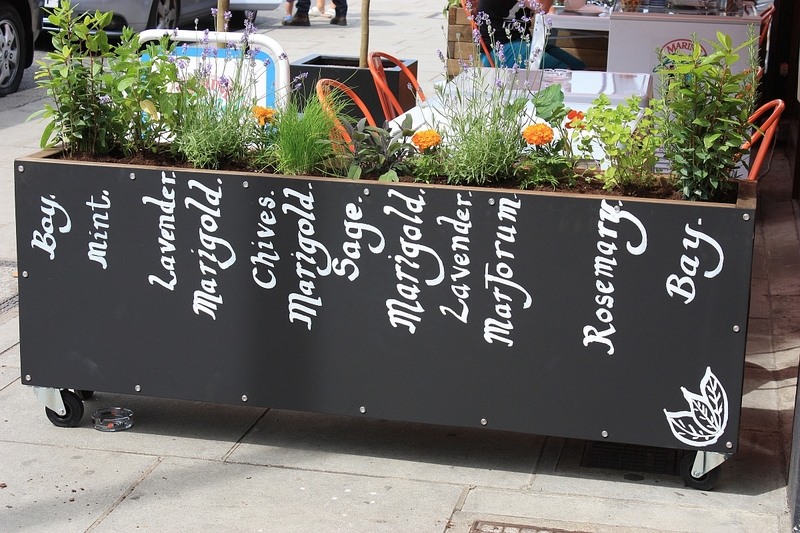 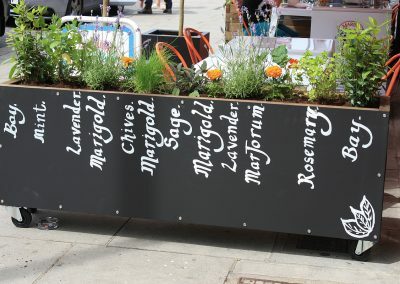 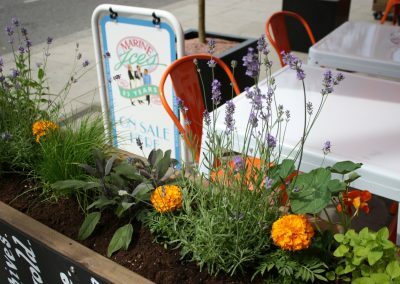 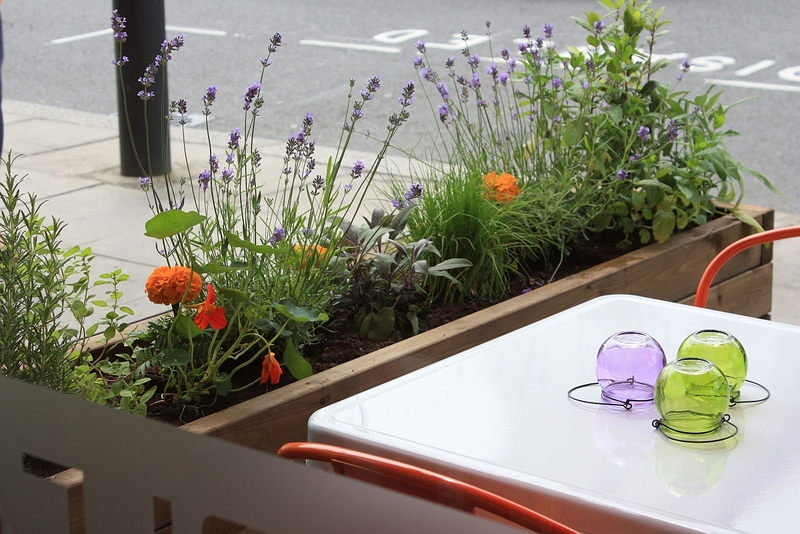 These bespoke wooden planters greatly enhanced the shop front and brought the recipes out onto the street for all to see. 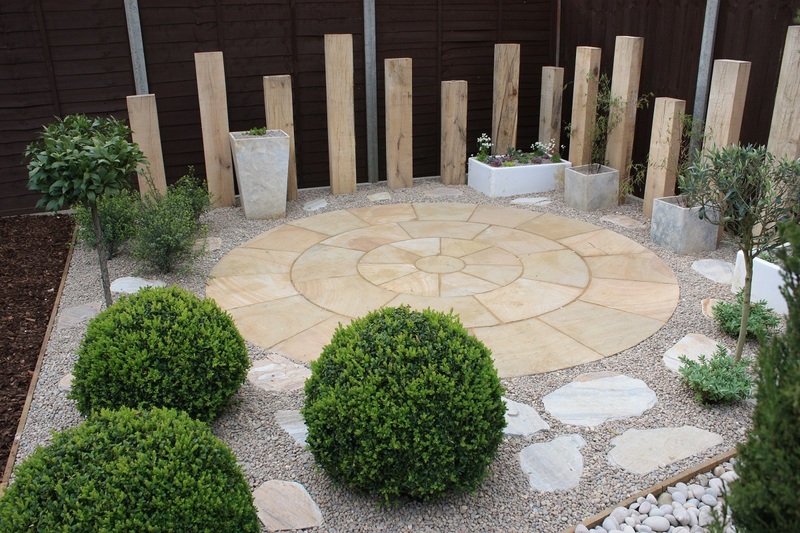 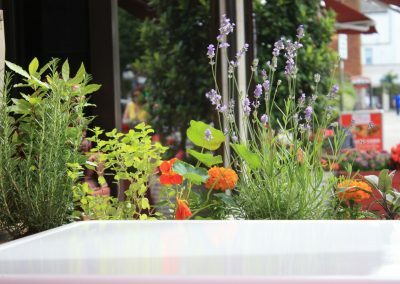 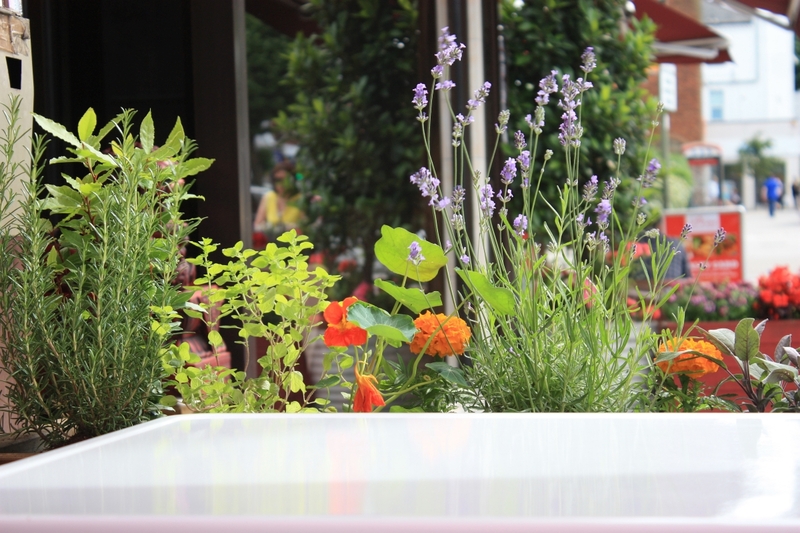 Filled with gorgeous aromatic herbs and edible plants, these very individual planters provided a new talking point for customers. 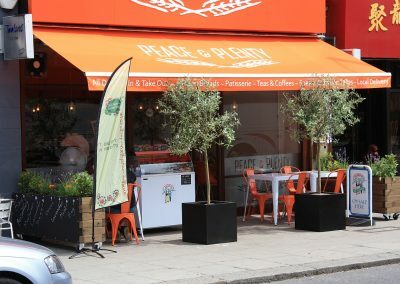 We planted olive trees in large square black planters to flank the café entrance which added much elegance and a little formality in a contemporary way..